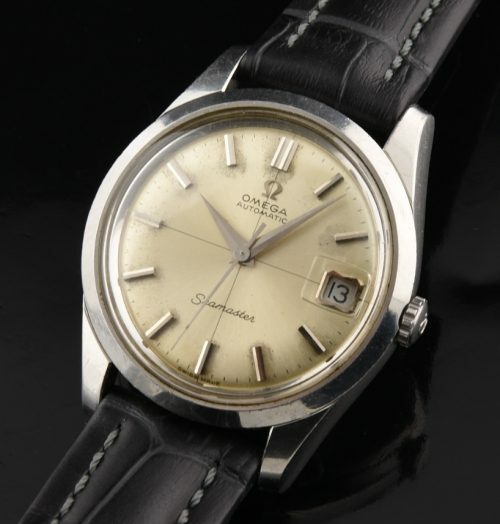 This 1968 Omega Seamaster automatic is a completely original example measuring a full sized 35mm. in an unpolished and original steel case with crisp relief sea monster logo. The OMEGA winding crown is original. The dial is original and very uncommon to see this crosshair design. The OMEGA (hard-to-find) crystal is original with bubble date magnifier. The caliber 565 automatic movement is keeping accurate time. 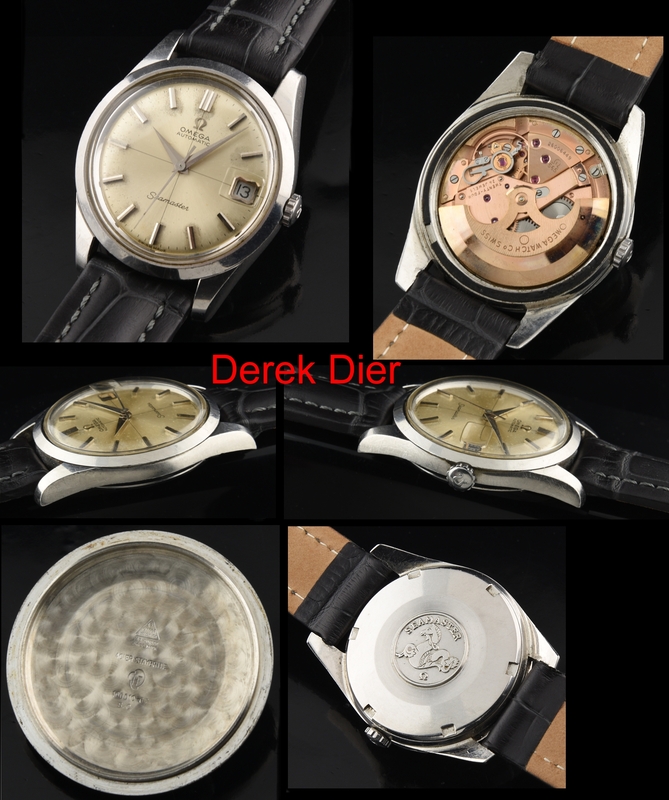 Notice the original patina’d dial with polished Dauphine hands and sweep seconds. I love the simple case design and amazing vintage look of this particular fine OMEGA!